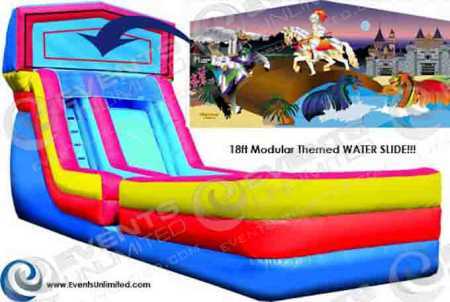 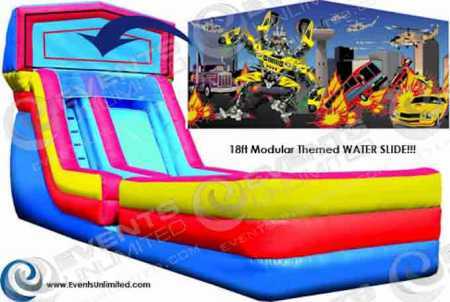 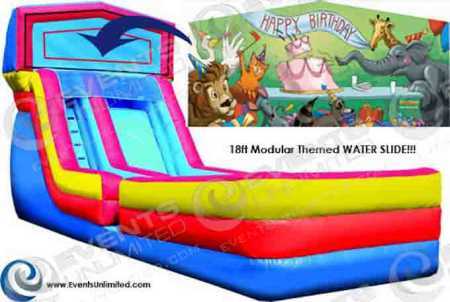 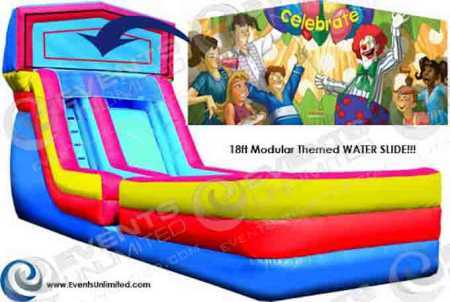 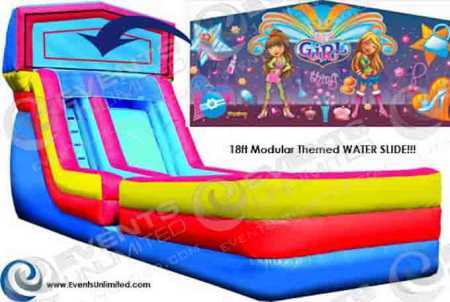 18ft Modular Slide Rental :: Many Themes to meet your needs! 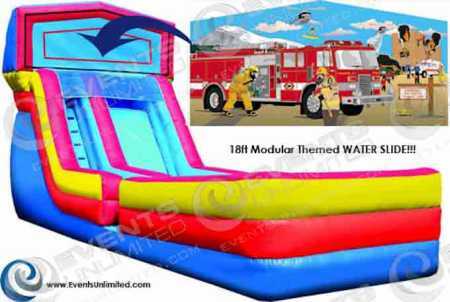 This modular slide comes to you in a variety of themes. 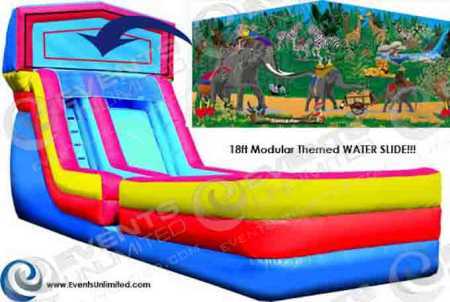 We offer a huge selection of other inflatable rentals, carnival games, and other items to complement your inflatable slide rental. From Concessions, to Arts and Crafts- tables, chairs, tents, and more… Let us know how we can help you to create an event package to meet your needs!